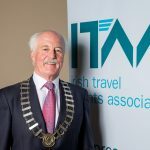 The Irish Travel Agents Association (ITAA) have announced their support of the Network for the European Private Sector in Tourism (NET) & Airlines for Europe (A4E) as they move to outlaw ATC strikes. Can you Hear the Ticking..? 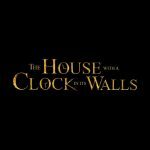 Prepare to step into a magical world where nothing is quite as it seems as the family film of the year THE HOUSE WITH A CLOCK IN ITS WALLS, is released nationwide on 21 September 2018. 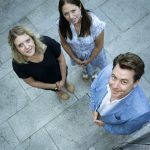 ALONE, the charity that supports older people to age at home, celebrated the completed refurbishment and tenanting of 11 new units of housing for older people in Earls Court, Dublin 8 today. 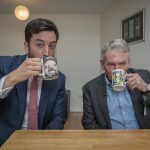 Cllr Sonya Stapleton, representing the Lord Mayor of Dublin, and Minister for Housing, Planning and Local Government, Eoghan Murphy TD, attended the launch and visited residents in their new homes. 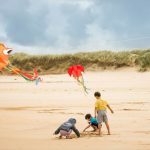 Hundreds of kite fliers and spectators of all ages experienced a visual feast at the Mayo International Kite Festival today on Keel Beach, Achill Island. Brought to you by Pure Magic, Sandybanks Camping & Caravan Park and Mayo County Council, families took to the skies and enjoyed free entertainment all day long. 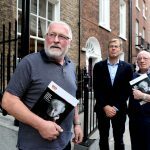 ALONE, the charity that supports older people to age at home, is calling on the Oireachtas to provide €84.5m a year over the next 10 years in the form of home adaptation grants and to develop an additional 122,000 units of housing for older people. ‘Home at Last – the Experience of Rapid Build Housing in Dublin’, investigates the Rapid Build strategy from the perspective of its residents. 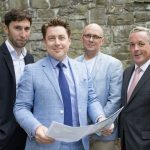 The new business unit under Dublin City Council’s (DCC) Housing and Community Services Department, was launched today to address the Dublin Housing Crisis. 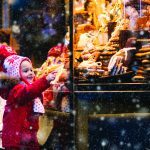 Ireland’s premier online travel company, Click&Go, have a variety of Europe’s favourite Christmas Markets and some lesser known alternatives on offer for this winter. The Irish Travel Agents Association (ITAA) today expressed their concern as Irish-based Ryanair pilots have voted to take industrial action, effecting flights scheduled for next week.